You are You, is a book that documents an annual weekend summer camp for gender-creative children and their families. The camp offers a temporary safe haven where children can freely express their interpretations of gender alongside their parents and siblings without feeling the need to look over their shoulders. 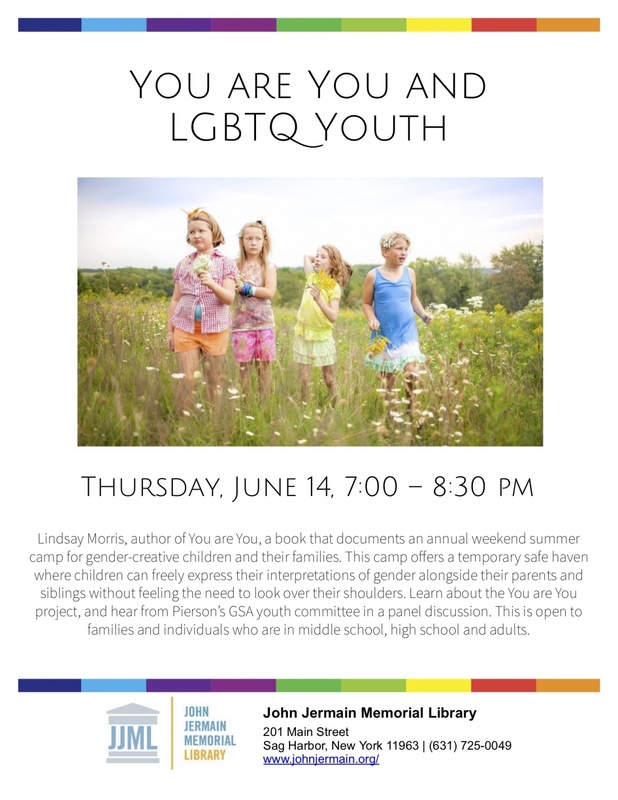 The book’s author, Lindsay Morris, will discuss her work and the You are You project. In addition, members of Pierson High School’s Gay Straight Alliance (GSA) will take part in a panel discussion. This event is open to families and individuals who are in middle or high school, as well as adults.